Take your projects to the next level with the new LightPad Series art and craft light boxes. 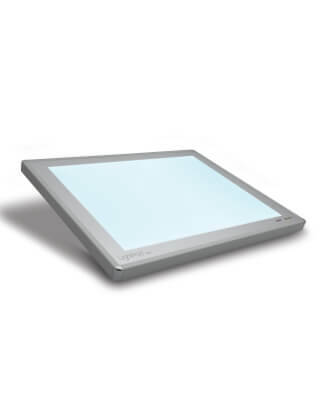 The LightPad's sleek, contemporary design makes it more user-friendly than ever, the super-bright, cool and evenly illuminated surface gives you the perfect platform to get your ideas off the ground. The new LightPad series is built to last a lifetime with Advanced Super-Bright LED technology allows the LightPad Series to shine brighter, run cooler and use less energy providing up to 50,000 hours of maintenance free creative brilliance.